When a new person thinks of blogging the first platform comes to their mind is WordPress. The WordPress iPhone application gives all you want. Post a quick post, edit, post, edit pages and reply to comments. In other words WordPress apps let you do all, even when you are not at home or work. Gives you total control while you are in a restaurant or any other place using your iPhone. Believe it or not googles baby blogger is receiving more and more attention from users, blogger has continuously evolved since the time of its origins. Blogger has a simple interface which is found perfect for any young person in the blogosphere. You can easily create, edit and publish your post. Attach your photos and embed videos. Tumblr is now gaining momentum as lots of youngsters is started using it nowadays. Tumblr focus on media and quick blogging. Large numbers of users on tumblr publish a short post which is reflected in tumblr interface. This application is the best friend for bloggers who wishes to write. Blogger thinks so much about their post ideas and when an idea strikes, they can always remember this with Evernote app. Whether it's a great picture, quote, or video clip that you want to access later, Evernote is the best way to archive things on your iPhone. This is yet another fastest growing blogging platform. You can write posts, post photos to your blog using the iPhone camera or photo albums. It has an automatic twitter update feature which lets you share your post in an effective way. PayPal now a day is must for entrepreneurs and bloggers. Huge number of clients wishes to pay through PayPal, because it’s the most convenient method of online payments. Using PayPal iPhone app we can hold in our funds, withdraw our hard earned money. PayPal is seen by far the safest and reliable source of payment. Analytics App focuses on giving users a chance to plug in to their Google Analytics account and obtain info on traffic out and about. It lets you customize crucial computer data and results in any manner the truth is fit. Considering that Google Analytics delivers real-time results of online traffic, any blogger having a popular website can't buy to never provide an analytics application for their iPhone. Photobucket is a useful app for posting photos you have taken from your iPhone. You can also search lot of images from photobucket website and then use it for your post.photobucket is a perfect source of images. Bloggers always use pictures in posts and they need to cut it or enhance it before uploading to blogs. Photoshop express is an amazing app for the iPhone that always comes handy when it comes to image editing and applying special effects to images. How can we forget to include Facebook app in this list, this is the most used social sharing platforms for bloggers. The blogger uses it for post sharing, we engage our readers by post what’s coming in next. Hence Facebook app always lets you connect with your reader’s effectively. Great Post Faizan Bhai! 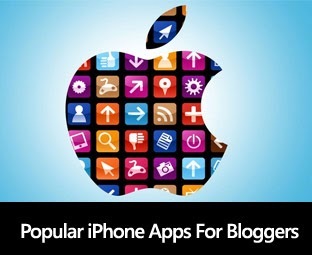 But most of us use Android Smartphones so it would be better if you share android apps for bloggers.